Well. It is an amazing day. It is an awe inspiring day. 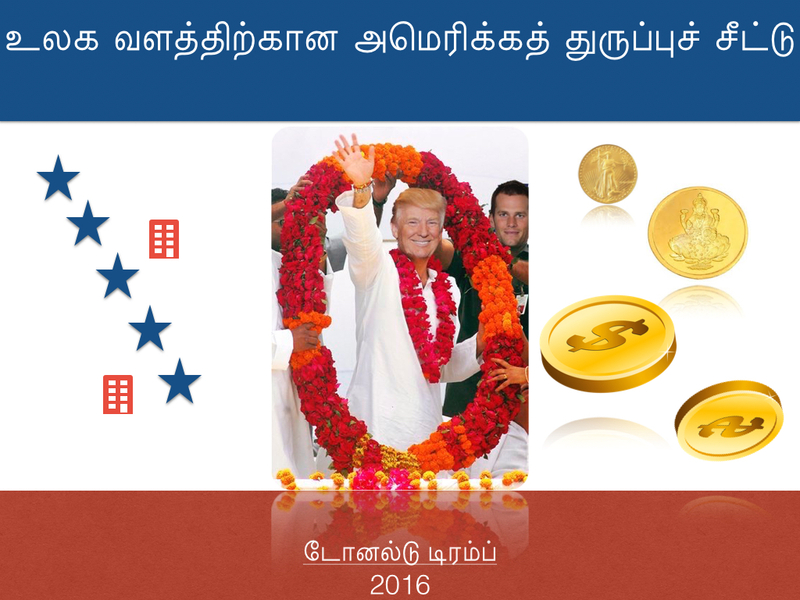 On behalf of all the Thamizh fans, here is a poster dedicated to the one and only Donald Trump.